Going through a dismissal process is extremely difficult for any employee. 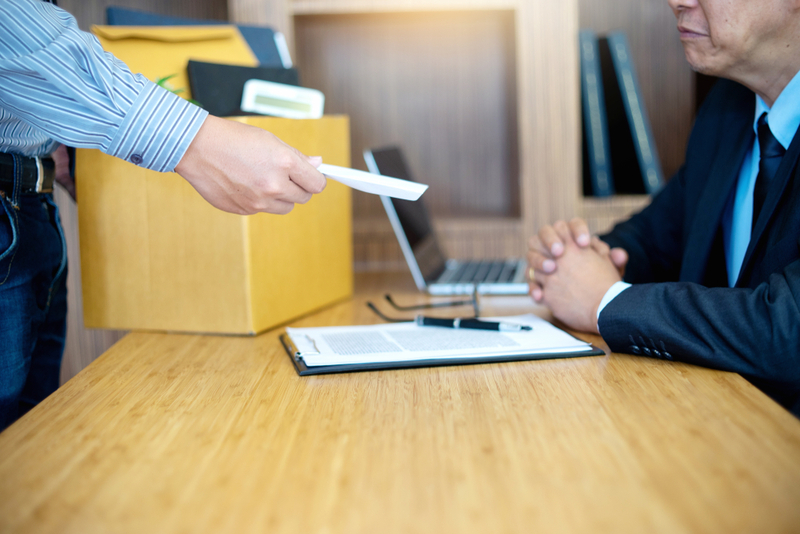 However, even after the decision has been made and the termination notices have been sent, the employer still owes their employee an obligation to consider the fairness of any dismissal. Read on for more information. An Employment Tribunal will consider whether a dismissal is fair or unfair at the point it takes effect: this means the very last day of employment. Unfortunately, employers sometimes forget they have an ongoing obligation to consider the fairness of the dismissal. This is especially where the employee has a long notice period. Employers sometimes believe that because they’ve gone through a procedure, that is their responsibility finished. In fact, a dismissal can become unfair because of events which take place during the employee’s notice period. A) I assisted a client who was made redundant from a school. The school was restructuring and reducing staff numbers. My client was in a selection pool with one other colleague. The school were reducing from two posts to one. Unfortunately, my client was selected for redundancy. Although he was not happy with the decision, he had no real complaint about the fairness of the process. He received his letter confirming the decision to make him redundant and began his twelve weeks’ notice period. Around two weeks before his employment was due to end, my client’s colleague had a personal matter which meant he had to leave his employment with the school urgently and return to his family in another part of the country. My client and his colleague went to the Headteacher to explain the situation. Ideally, they wanted the school to allow the colleague to volunteer for redundancy and for my client to continue his employment. The school refused my client’s suggestion. The colleague submitted his resignation and the school advertised his vacant position. My client applied stating that he should be offered the position as it would avoid his redundancy. He also commented that he had been doing the job for seven years without disciplinary or complaint. The school refused his application and terminated his employment. When my client came to see me, I advised he had an excellent claim for unfair dismissal. The decisions by the school were completely illogical. Whilst the initial redundancy consultations had been undertaken correctly, once my client was serving his notice the school refused to reconsider his dismissal following a change in circumstances. In the event, before we even got to the Employment Tribunal, my client was offered a substantial financial settlement through ACAS Early Conciliation which he accepted. B) Another client was dismissed due to her absence from work. She had been unwell for several months and her doctor was struggling to diagnose her condition. Consequently, her employers went through their sickness absence procedures and terminated her employment with twelve weeks’ notice. Mid-way through her notice, there was a breakthrough in diagnosing her condition and she began to receive and respond to treatment. She wrote to her employers explaining the change in her circumstances. She explained she was recovering so well she would be able to return to work. She was even able to suggest a date for a phased return to work. Her doctor gave some guidance that within a month of going back, she would be able to return to her full hours and duties. Her employer responded by saying that as they had completed their procedure and as the time for an appeal had expired, they were not willing to reconsider their decision to dismiss her. Despite my client and her doctor confirming she was able to return to work, they terminated her employment at the end of her notice period. When my client came to see me, I explained that she had an excellent claim for unfair dismissal. I explained that the Employment Tribunal would consider whether the dismissal was fair or unfair at the point she was dismissed being, of course, at the end of her notice period. At that point, she was able and willing to return to work and therefore her dismissal for continued absence was unfair. I assisted my client through ACAS Early Conciliation and submitted her Employment Tribunal claim. Her employer initially disputed the claim but long before the final hearing, my client started receiving offers to settle. In the event, my client happily settled her claim for the equivalent of a year’s pay. If you are going through a termination process at work, please contact Lincslaw Employment Solicitors on 01522 539501 for a free initial telephone consultation. Alternatively, for more information about who we are and what we do, visit our website at https://www.lincslaw.co.uk/services/employees/resignation-dismissal-and-redundancy/redundancy.